Speculative Bet: 1000 Guineas - What's Your Bet? 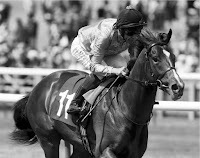 1000 Guineas - What's Your Bet? This Flat horse race is open to three-year-old fillies over a distance of 1 mile on the Rowley Mile at Newmarket. One of Britain’s Classic races restricted to three-year-old fillies. The main sponsor of this race is Qipco. This race was first conducted on 28th April, 1814, five years after the 2000 Guineas which was for both colts and fillies. The race was founded by Sir Charles Bunbury and established by the Jockey Club. Sir Charles was the co-founder of the Derby as well. This race is also considered the first leg of the Triple Crown which includes Derby and St Leger but the accomplishment of winning all three is rare. 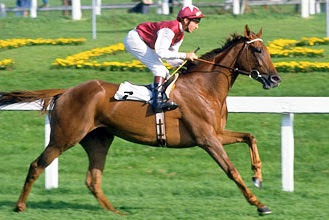 The last being Oh So Sharp [pictured] in 1985, trained by Henry Cecil. One of only nine fillies to achieve this goal in race history. Interesting to note that Formosa also dead-heated in the 2000 Guineas in 1868, while Sceptre also won the same race in 1902. By mid-1800s, this race had gained massive popularity in the country and was one of the most prestigious races for three year olds. There are 5 Classics in all. The concept spread widely to different parts of the world. Several European countries have variations of the race. including the Poule d’ Essai des Pouliches and the Premio Regina Elena. It also spread as far as Japan and Australia. The original prize of 1000 Guineas worth almost £300,000 to the winner. The first Classics of this year was run on the 30th April - the 2000 Guineas won by Galileo Gold for Al Shaqab Racing Ltd and trained by Hugo Palmer. It was his first Classic victory as a trainer. The leading jockey is George Fordham with 7 wins and the leading trainer with nine wins is Robert Robson. The fastest time achievement stands with Ghanaati and the most runners were seen in the eyar of 1926 when 26 participated.